'Yoga' (to be pronounced as 'Yog') is predominantly thought of as physical exercise only and the 'aasan' (written as 'aasana') meaning 'posture', have gained wide-spread popularity in recent decades. Yogaasans are in fact the most superficial aspect of this profound science of unfolding the infinite potentials of the human mind and soul. Apart from the spiritual goals, the physical postures of Yog are used to alleviate health problems, reduce stress and make the spine supple. These days Yog is used as a complete exercise program and physical therapy routine. Different diseases occurring in stomach, neck, spine and knees can be cured by Yogic methods including Yog Aasans and Pranayams. Good health ought to be everybody's concern, not solely the medical profession's business. The Yog postures (Aasan) and exercise strengthen the muscles and nerves. It is necessary to strengthen the muscles and nerves in order to keep the body healthy. Light breathing exercises strengthen our respiratory system. These are called Pranayams: The Breath of Life. Yog is fully capable of transforming the physical body. 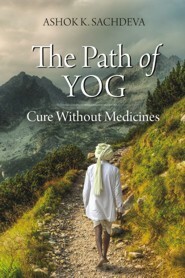 Cure without Medicines is the first book in the series The Path of Yog. Born in 1945, in a well to do family, wherein, my Grandfather was an Assistant Commissioner Income Tax who after his retirement from the post in 1951 had written three books on Bhagvad Geeta. I started doing yogasana in school at a very early age of 10. Because of the interest of my parents in spiritualism, got the chance to meet some enlightened souls, such as Anandmayee Maa, Mata Bhagwaan Kaur ji, Swami Sharnanand ji Maharaj etc. and got the chance to read some Purana’s and Upnishad’s from them at an early age and that left a very deep impression on the mind of otherwise a very young person. By the time I was of 18years, came in contact with many Guru’s and started learning Yogasana’s but later had Dhirendra Brahmchari ji and then Bharat Bhushan ji as a Guru to bless with thorough knowledge in Yog Asana’s (Popularly known as yoga). When I was 23 years of age, started doing meditation in the presence of many different enlightened Gurus at different places in India but at the age of 30 came in contact with Shri Goenka ji and started doing Vipasana meditation regularly. Later on, came in contact with Swami Madhavacharya ji Maharaj, then with Swami Parmanand ji Maharaj but it was only the divine presence of Swami Ram ji Maharaj of Uttarkashi, which changed my life and I started reading and understanding the deep meanings of Bhagvad Geeta and got enlightened. Then started taking classes on Yog, meditation; health nutrition and nature cure. Since 1977 I am teaching and giving lectures, about Bhagvad Geeta and Yog became the life.